My apologies for leaving it longer than usual between blog entries, sometimes it's hard to find the time to write one up when you're playing so much damned poker! I've been meaning to write about the session that I had with Jared Tendler last week, as I talked about when I did post last. Jared is recording our sessions to potentially use with his website (although he has probably changed his mind about that when he realised my voice was so high pitched, whiny and that I tend to babble when I talk!). Although a few things came up that we could base the session on, Jared suggested it was best to look at something that would be immediately useful to me, so our session surrounded motivation. 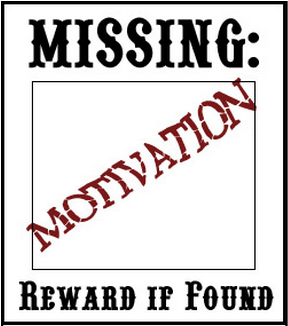 Motivation can be a difficult thing for a poker player who has no boss to answer to, no set time he has to 'clock in'. 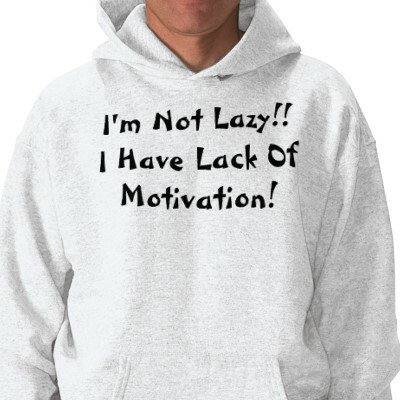 This is perhaps why the stereotypical poker player is a lazy slob who doesn't wake up until half one in the afternoon! 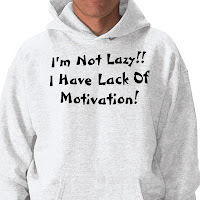 I have been this lazy slob in the past, but I have really worked hard at being the opposite of this and treating my poker like a business, something I cottoned onto even before I read Dusty Schmidt's (very good) book on that subject! One of the reasons I decided to go for Supernova Elite was because I hoped it would help to motivate me to play, as it would essentially force me to put the hours in at the table. Whilst this has been somewhat effective, motivation is still something I struggle a little with, and Jared proposed that this was because I was fixing a problem by putting a plaster on it. A plaster can only help so much, and my struggle with motivation still remains an underlying problem. This is evidenced by me falling a good 20k VPPs behind pace, and finding it more difficult to sit and grind as I was managing at the start of the year. Something I noticed in our session is that Jared seems to talk a lot of sense, and he figuratively had me nodding along to everything he was saying. He manages to really simplify and concise what he says very well (pretty helpful for donk like me), and is very articulate (unlike me, as regular readers of my blog will attest to!) with his advice. I guess that sounds pretty lame, but PokerStars' marketing ploy has certainly worked on me. I want those black stars and the status that comes with them! I would like to be able to buy a house somewhere down the line, and hopefully getting to Supernova Elite will bring me closer to being able to do this. As some of you have probably figured out, I would love to be considered for Team PokerStars: Online. Although this is essentially out of my hands, I'd like to put myself in a position to put in the best application I can, and getting to Supernova Elite and raking PokerStars lots of money can only help my cause. After failing my degree because of poker a few years ago, I feel like reaching Supernova Elite will finally mean I am something of a success. I realise that I have had really good results over the last couple of years, but to have something tangible beyond a Sharkscope graph to tell people about would be nice, especially my parents who were understandably gutted that I didn't complete my University course. All of these goals are a source of motivation that I need to draw upon when it's getting hard to put in the hours or when things aren't going as well as I would like. When my hand is reaching for the snooze button on my alarm clock, I think these are the thoughts that will get me out of bed. Unless I'm dreaming Cheryl Cole of course! I've had a bit of a pants month so far, although my results have improved a bit more recently. I've failed a bit with my not looking at results. It turns out it's a lot harder to do when you're losing as opposed to winning! I need to get back on track with that though as the difference is so noticeable. I've been experimenting playing the occasional 9-man SNG to help me earn enough VPPs each day, which has gone well enough so far but I probably need to study them more than I have done as I'm not certain I'm playing them 100% correctly. Excellent post! I could really relate. Especially about the dropping out of University, since I did the exact same thing to focus on my poker which didn't go all that well with my parents. I'm struggling with motivation as well, just got out of bed at 3 PM and manning up to my first session. GL! Good idea on the 9 man sngs, imo I think you should also incorporate super turbos in the last say 20 minutes of your sessions when you are wrapping up - after all you will be fully in end game mode. Even if you are slightly under break even in them they are surely worth it. Also, play the cap games during server restarts. Also stop reading this and earn some VPPs. Also whats your max number of tables? One of the things Jared has helped a lot of people do is increase they table capacity. I reckon 2 more tables would probably increase your annual VPP turnover massivley. Bazza - I'm not confident enough with my Super Turbo or CAP game to really play them. "A jack of all trades, a master of none" and all that.